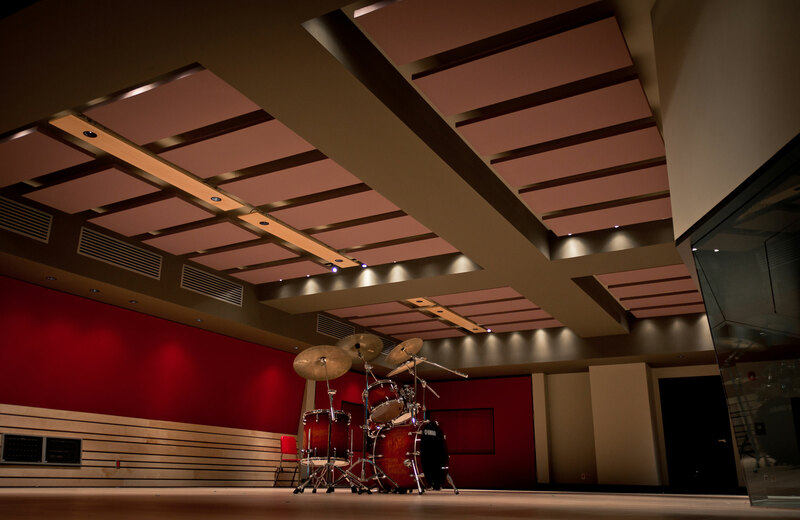 Laval Universite | Pilchner Schoustal International Inc. 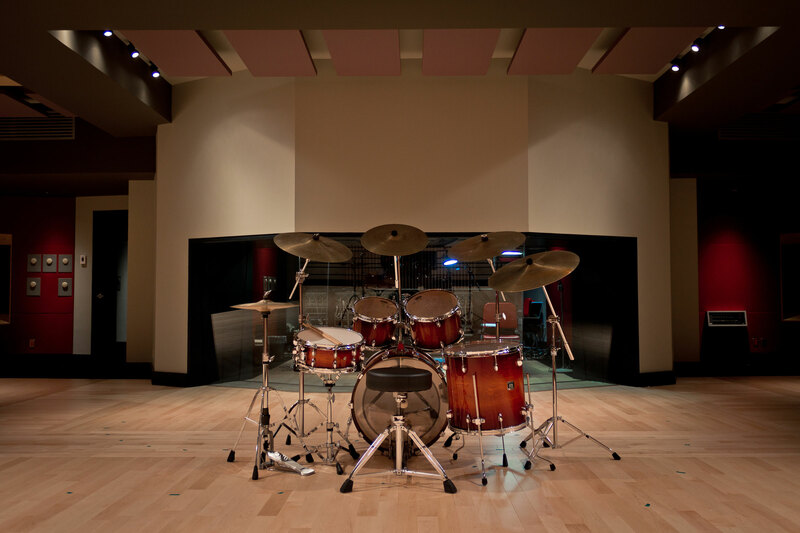 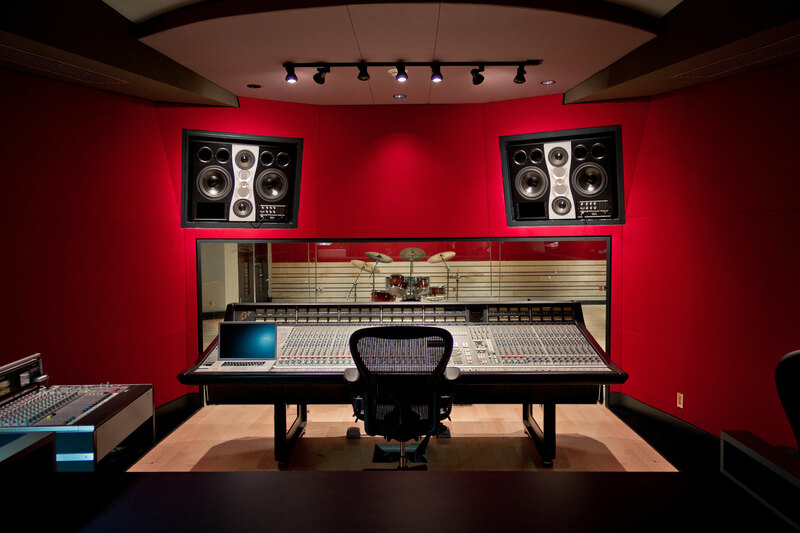 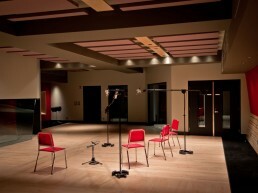 This is a new recording facility that was designed for Laval Universite. 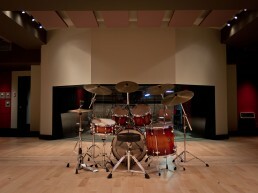 The facility replaces an older studio in the same location. 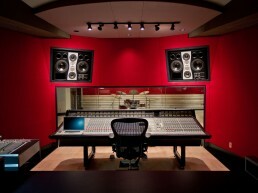 It features a large central control room as well as four smaller control rooms that surround the large studio floor. 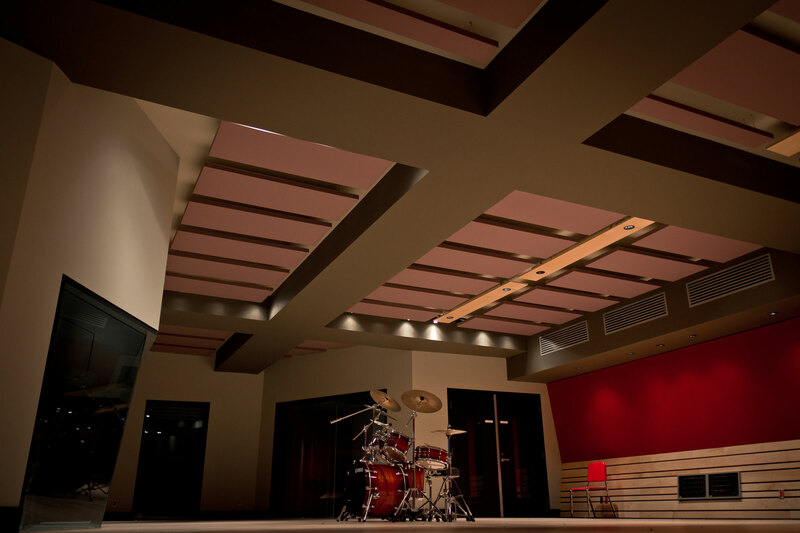 The studio floor has a main large iso booth, two smaller iso booths and movable wall system that creates another isolated area. 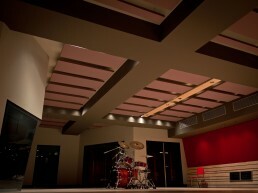 Ceiling height was maximized within the context of the existing building. 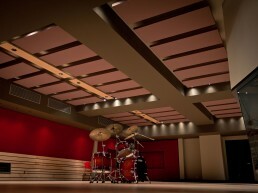 All spaces have separate air handling systems and are separately isolated from the structure. 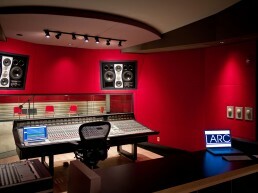 The main large control room features an SSL console and large ADAM monitors. 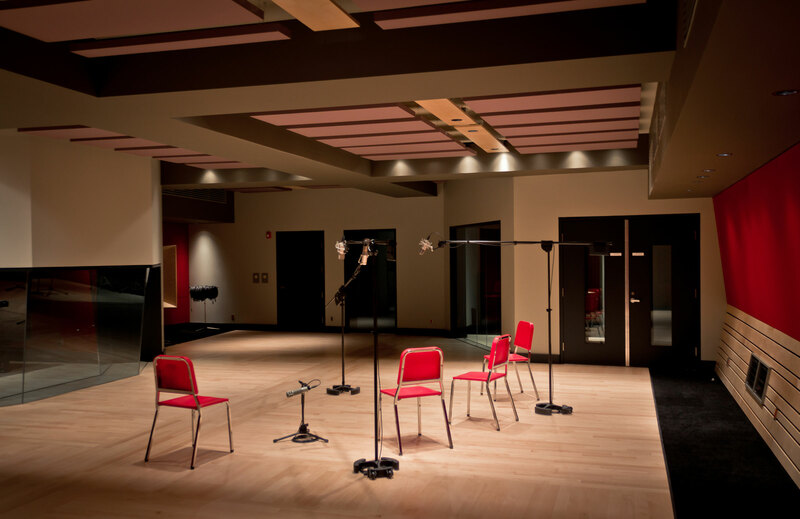 Sightline to the studio is through the forward facing mitred glazing system offering a panoramic view of the recording space. 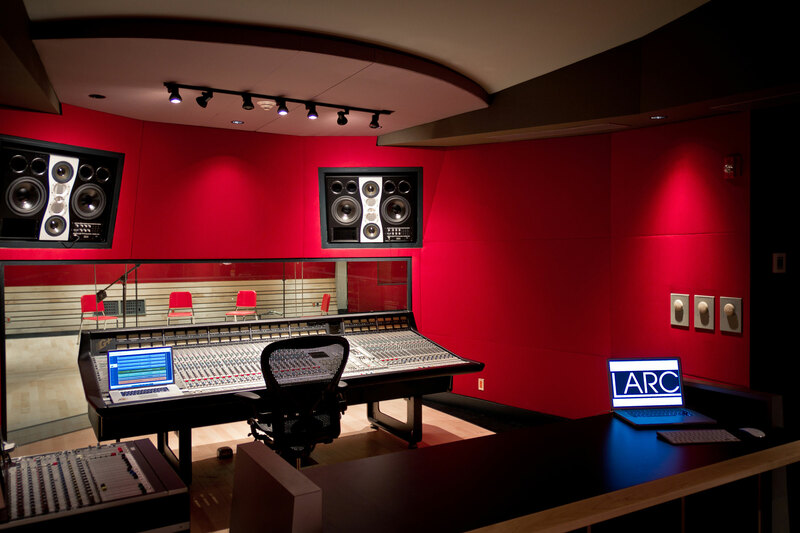 The control room has plenty of rear room making it optimized for classroom applications.